Humble Bundle and Meowza Games have announced that Mineko’s Night Market will release on Nintendo Switch, in which you play as a curious girl who arrives at her new home on a struggling superstitious Japanese-inspired island at the base of Mount Fugu. The locals worship the Sun Cat, Abe, and what was always believed to be a long-told myth has the town puzzled, with residents having started to sight Abe in recent days. As Mineko, you must discover the secrets behind the town. In this narrative-driven adventure merchant simulation game, you must befriend and barter with the townsfolk at the weekly Night Market to sell anything that you craft or find. And, to lighten the businesslike mood, you can play and compete in Night Market games such as cat racing, octopus pull and sumo-suit wrestling. 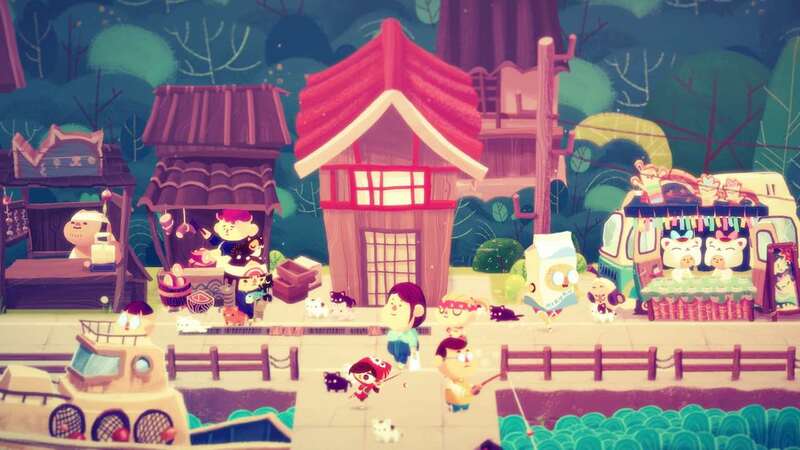 Mineko’s Night Market will release on the Nintendo eShop for Nintendo Switch worldwide in early 2019.